"Pre-deployment testing of the contact center"
Pre-deployment testing of the contact center voice environment can result in time and money savings. In order to achieve the benefits that pre-deployment contact center testing offers, organizations must develop in-depth strategy and execution plans first . 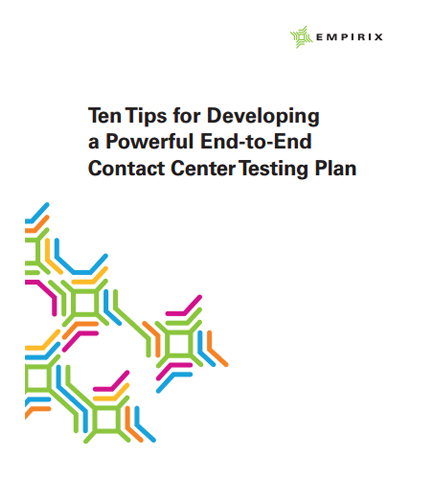 What should be included in a comprehensive testing plan for contact center? Improve your business performance by predicting your customers’ communications experience, end to end, with a powerful testing plan for contact center.